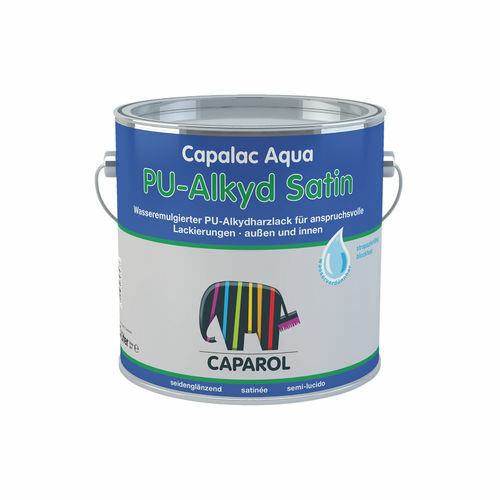 Water-emulsified PU alkyd resin enamels for superior coatings. For exterior and interior use. Suitable for high-grade intermediate and finishing coats on primed or undercoat-varnished wooden parts interiors, on dimensionally stable wood component parts exteriors, and for primed metals and rigid PVC, exteriors and interiors. Do not use white shades on heating installations in order to avoid yellowing (radiator enamel Capacryl Heizkörper-Lack should be used instead).